Kameya Foods was originally established as a Japanese pickles manufacturing company in Shinshuku, Shimizucho, in 1947. Situated in a blessed environment, it has utilized a variety of local products, which include some of Japan’s best-quality wasabi grown at the edge of Mt. Amagi, fresh vegetables from the western foot of Mt. Hakone, and seafood from Suruga Bay as well as beautiful and abundant water from the Kakita River springs formed by the groundwater of Mt. Fuji. The wasabi we use in our wasabi products is high-quality wasabi grown at our own farm at the skirt of Mt. Amagi in Izu. The top three keys to wasabi production are water, seedlings and management. Mt. Amagi is one of the five places with the greatest precipitation in Japan and the abundant rainwater permeates the pumice layer and springs out as water rich in nutrients and oxygen. It is 12 to 13 degrees Celsius throughout the year. 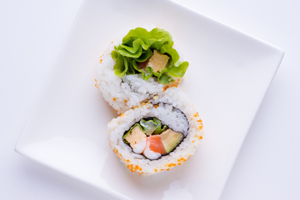 This water, which is highly suitable for wasabi production, combines with thorough production management to enable us to produce wasabi that is the tastiest in Japan to give us a great advantage in our products. The farmland on the western hill of Mt. Hakone has long been a production site for quality vegetables. Kameya Foods launched farming on our own Kameya Farm in 2012 to produce the vegetables known under the brand name of Hakone Seiroku Vegetables for our pickles. Being a beginner in farming, we mainly grow wasabi, daikon radish and ginger while gathering information, improving the soil and making every other effort to produce better vegetables. 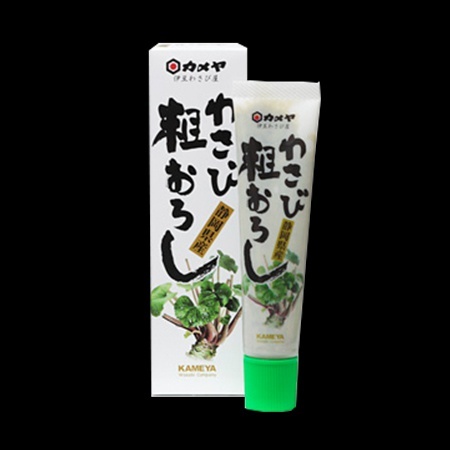 Kameya Foods has three production sites—the Head Office Factory for pickles manufacturing and Factory II for the wasabi cleaning and cutting process, both located in Shimizucho, and Heiseidai Factory for wasabi products production in Mishima. Although they are equipped with the latest technology, many of the production processes are handled manually—cutting out small pieces of dirt with a knife and sorting materials, for example. 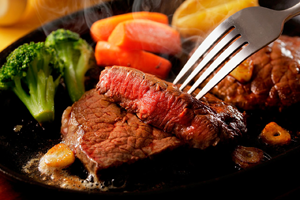 We pay careful attention to produce safe and tasty products. The wasabi is grown in Shizuoka Prefecture, mainly in Izu. 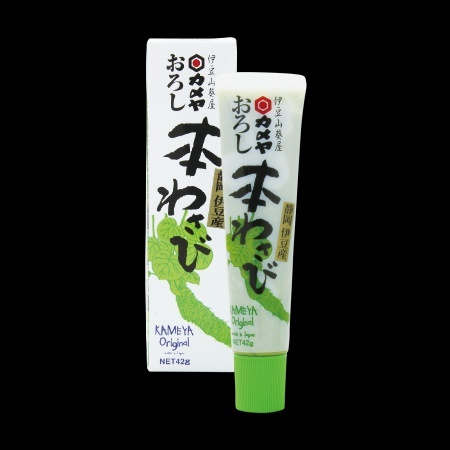 As wasabi products are our core products, we are very meticulous about their pungency and aroma. 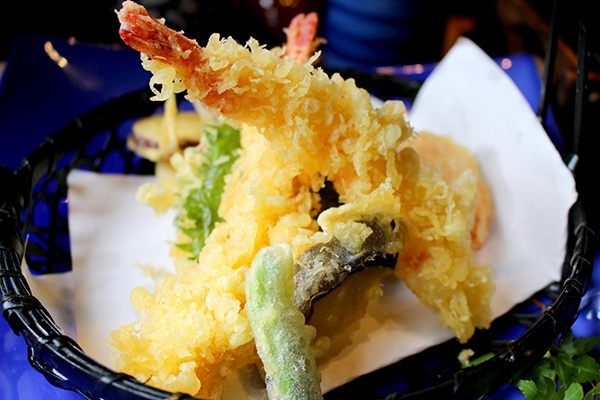 As the wasabi is rather roughly grated, it has more texture. 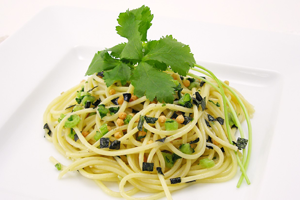 Perfect for sashimi, meat dishes and as a relish for soba noodles. A long-selling product for over 30 years. 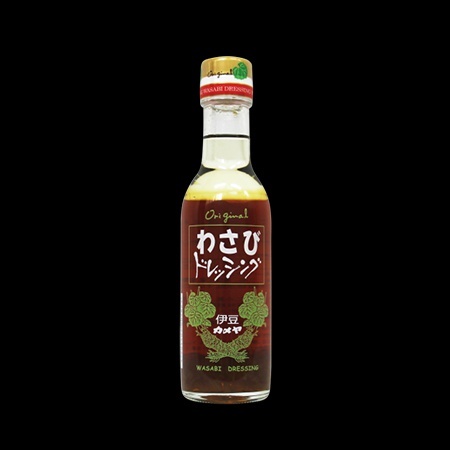 Just sprinkle it on rice and you will feel the authenticity of Amagi food. 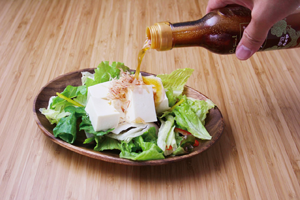 This dressing is made with wasabi grown on Mt. Amagi. With a couple of sprinkles, your mouth will be filled with a rustic aroma. 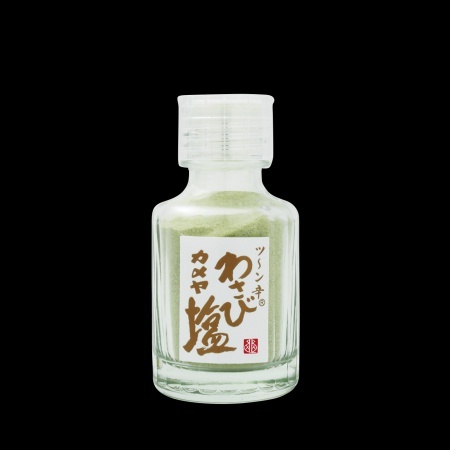 We use finest fresh real wasabi to create outstanding traditional wasabi salt. This is free form coloring and preservative. 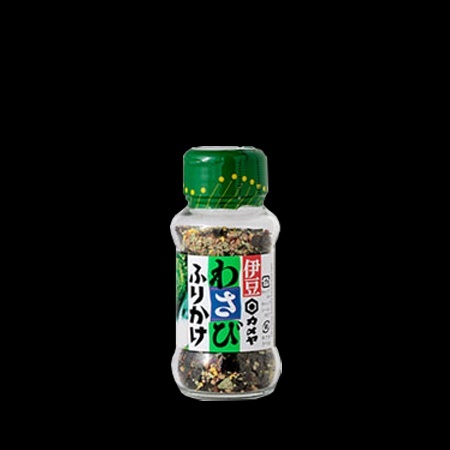 It is the best wasabi salt in the world. Kato Sangyo Co., Ltd., Asahi Shokuhin Co., Ltd., and Shizuoka Meikan Co., Ltd.
© KAMEYA FOODS Co., Ltd.